RX55 2.5x MagRX Medicine Bottle Magnifier | BUDK.com - Knives & Swords At The Lowest Prices! Are you tired of struggling to read those hard to decipher medicine bottles? The small print causes you to strain your eyes and sometimes grab the wrong bottle of pills, which could land you in a huge mess! Get the MagRX Medicine Bottle Magnifier so you can pick up your medicine bottle, read the print through a magnifier and rest easy that you are taking the correct medicine. 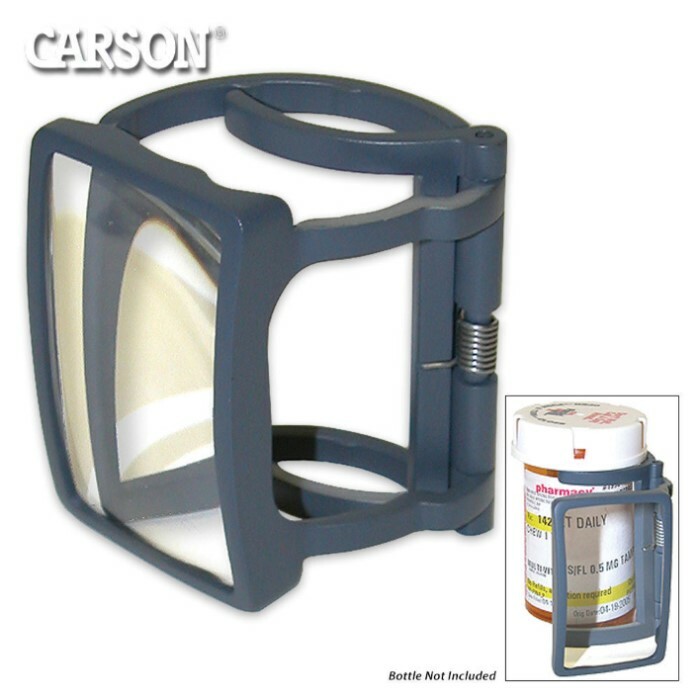 This helpful tool is perfect for anyone with multiple medicine bottles or less than ideal vision.